The great thing about Venice is the many details you see as you stroll through the streets. Window panes, house entrances or small bridges, photo-motives where the eye reaches. 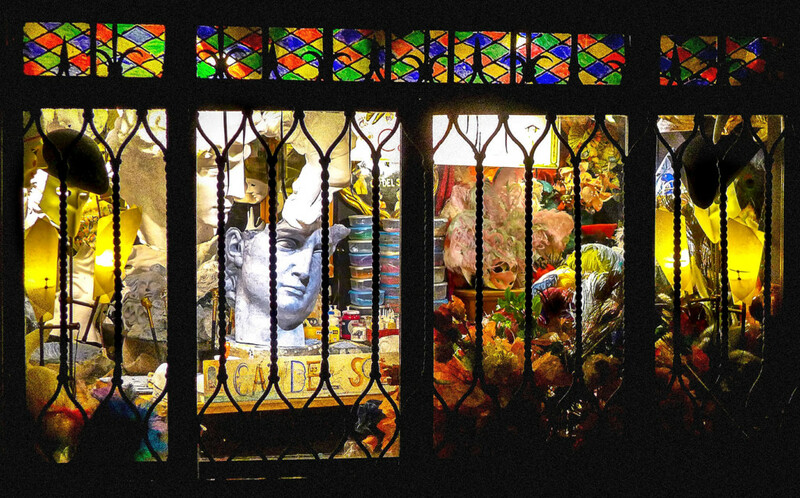 Here on the photo typical Venice style, masks, wrought iron, and colorful Italian glass.